Environmental responsibility has become an important goal for many of today’s companies as there is ever mounting societal and political pressure to meet environmental targets, and you don’t want to be left out of the “green race”. When it comes to “green tech” there is no doubt that equipping your office with eco-friendly machines is the best choice both ecologically and financially. Every office can potentially become a more environmentally friendly place to work in. From paying attention to the smallest details to making more sound decisions regarding financial matters‍‍,‍ it all makes a difference. 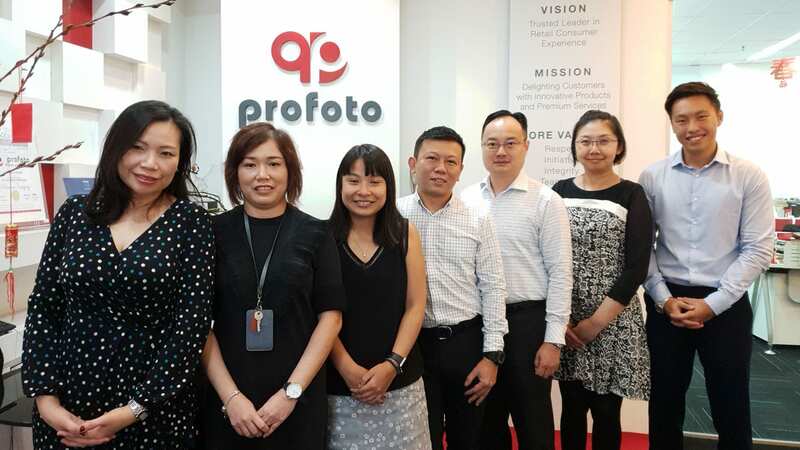 Which printer will provide better quality printing, which is more environmentally friendly, less expensive to operate and how do costs differ up-front? These are some questions to ask when choosing between an inkjet and a laser printer. If you need a machine that is affordable to operate, Epson’s environmentally friendly inkjet printers are your ideal choice as they cost less at the outset and are cheaper to run in the long term than traditional laser printers. As Epson’s inkjet printers do not use heat in the printing process, they consume far less power than laser printers. 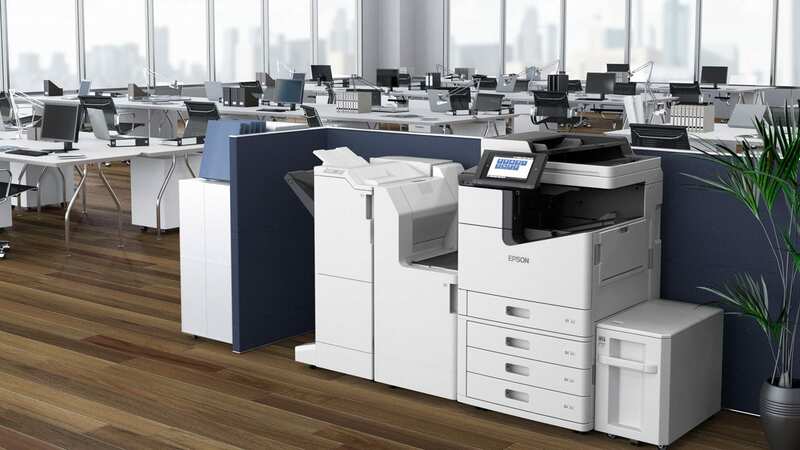 Epson’s inkjet printers consumes up to 85% less energy than a similar-speed laser printer which means for a typical office that requires frequent printing, this can amount to distinct savings in their annual energy bills. Epson inkjet printers also produce up to 85% less carbon dioxide than those of comparable laser printers2. This means that for every 6 cedar trees required to absorb the amount of carbon dioxide as a result of using a laser printer, an Epson inkjet printer requires only 1 cedar tree. In terms of waste generation, Epson inkjet printers come with fewer components that need replacing, making it more convenient to operate as it requires only changing the ink and waste ink box versus toner, drum, developer, fusers and more components for laser models. 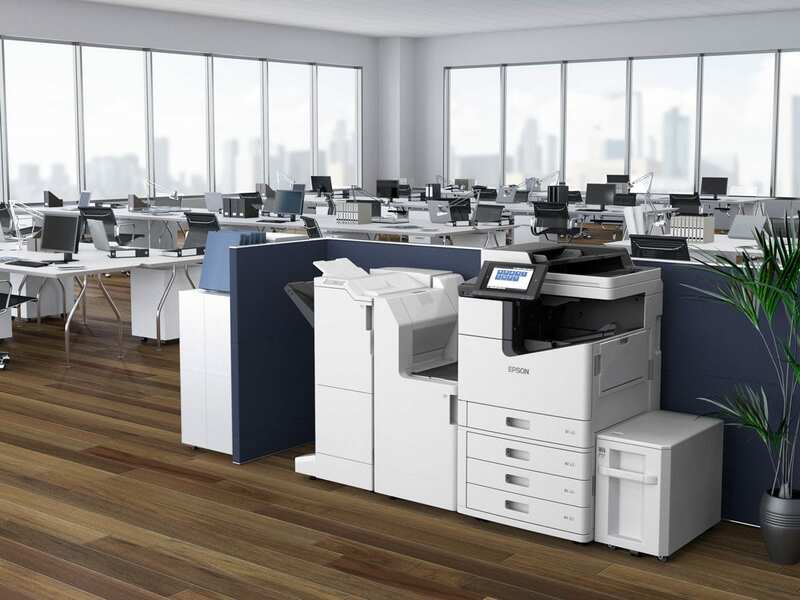 This is not a tiny detail as – with up to 59% less replacement parts compared to laser printers3– it results in a significant reduced impact on the environment over the lifetime of a printer. With less consumables required and less parts needing to be replaced, it also means significantly less downtime and maintenance needed compared to a laser printer. Similarly, the user intervention time required to replace the parts is less than half compared to a laser printer, which translates into improved office productivity in the long-term. Thanks to its design and technology, the Epson inkjet printers offer plenty of benefits for business. The WorkForce range doesn’t simply reduce your waste, but it also maximizes your uptime. Energy efficiency comes without sacrificing speed and quality. The WF-C20590 series boast features and print speeds superior to the ones found on laser models, producing brilliant prints at up to half the cost. It offers speeds of 100 ipm in black and color, plus a superfast first page out with minimum warm up time, which is perfect for busy workgroups. This comes without compromising on quality. Epson’s linehead inkjet is designed around scalable technology that is originally used in large-scale label presses, which offers laser-sharp text and brilliant colors on a wide variety of media products. Some of its features include high print quality up to 600x2400dpi. It uses the PrecisionCore print chip that generates up to 40 million precise dots per second, with astonishing ink placement accuracy. 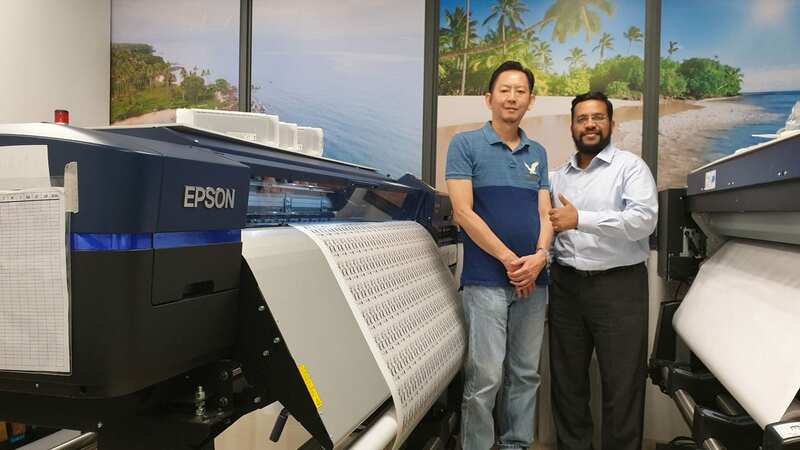 In conclusion: why choose Epson inkjet? Epson has a great history of developing innovative and energy-efficient products and your company deserves the highest quality print workflow. By partnering with the industry’s best printing services and document management solutions you would create a seamless unified experience. Epson can help your company cut your overall business running costs, while reducing carbon footprint at the office and ensuring your printing solutions are as safe and secure as possible. With the Epson WorkForce range you are certain to meet the “triple bottom line” for business printing by improving environmental, economic and societal performances. 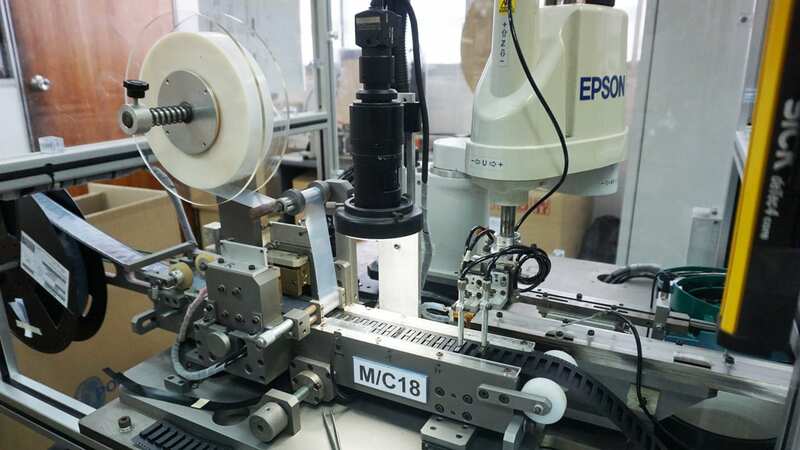 Testing was commissioned by Epson to Keypoint Intelligence-Buyers Lab. Two comparison models were selected from color laser multi-function printers in the 65-70ppm class. Tests were conducted at the devices’ default settings using Keypoint Intelligence-Buyers Lab standard energy consumption test methods. Calculations were based on a weekday workload of 2 x 4 hours printing + 16 hours in sleep/standby mode, and weekend energy use of 48 hours in sleep/standby mode. A total of 69 pages of workload test pattern .doc, .xls, .ppt, .html, and Outlook files were printed 6 times in each 4-hour printing period. Learn more about Epson’s business inkjet printers here.